Eugene, Ore. - 2018/2019 marks The Very Little Theatre&apos;s 90th year of being a cornerstone for the performing arts in Eugene and what better way to start the season than to host a blood drive in conjunction with the performance of Dracula. 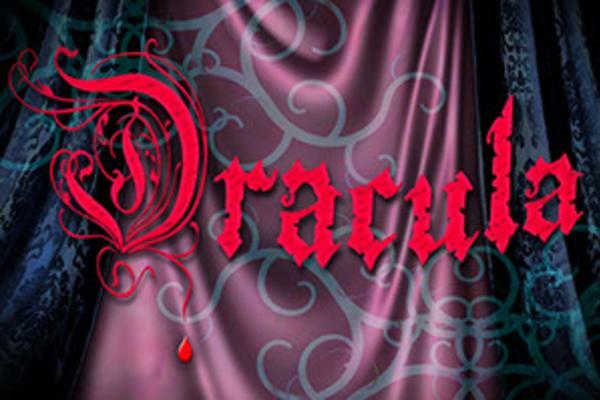 During the closing weekend of Dracula, The Very Little Theater will be hosting a blood drive in partnership with Bloodworks Northwest on Friday, November 9th and Saturday, November 10th from 3:30-6:30p.m. at the Very Little Theatre, 2350 Hilyard Street, Eugene. All donors will receive a voucher good for $4.00 off a single ticket purchase for use during the VLT 2018-2019 season. Anyone wishing to sign up to donate may do so via the attached link or call 800-398-7888 to schedule an appointment. November 1-4; and Thursday-Saturday, November 8-10. Curtain time is 7:30 p.m. (except for the 2 p.m. Sunday matinées) Adult tickets are $21; seniors and students are $17; Thursday performances are $17 for everyone. Tickets available by phone through the Box Office from 1:30 - 5:30pm Wednesday through Saturday at 541-344-7751 or online at TheVLT.com. The VLT cast features: Blake Beardsley as Renfield, Aimee Hamilton as Mina, Melanie Moser as Lucy, Kyle Letsom as Harker, Robert Williams as Seward, Joel Ibáñez as Dracula, Adam Leonard as Van Helsing, Demetra Kalams as Maid, Livija Jacks, Natalie Tichenor, and Sarah Nesslin as Vixens, Steven Shipman, Thomas Weaver, and Brett French as Attendants “I want your fear,” says Dietz’s Dracula. “For your fear, like a current, rushes through your body. Your fear makes your heart pound, it renders your veins rich Having set the tone for the horror of his play, Steven Dietz never disappoints. Dracula, translated into numerous languages and spawning many films and stage productions, has become the most famous story in all of the horror genre. This richly theatrical rendition of Bram Stoker’s classic novel by Dietz boldly “restores the horror and suspense of the original story.” He paints a picture of a macabre, darkening world in which supernatural beings prey upon mortals and threaten to spread an epidemic of undead existence. Count Dracula, having run out of his blood source in Transylvania, hires a realtor, Jonathan Harker, to find a property in London. As Count Dracula begins to exert his will upon the residents of London, they try to piece together the clues of his appearances — in a valiant attempt to save themselves from a hideous fate. Rich with both humor and horror, this play paints a wickedly theatrical picture of Stoker’s famous vampire. Rated PG-13 due to stage blood and mature themes. An Opening Night Gala with refreshments following the show is open to all those who purchase tickets to the October 26th performance.